Satis Group, a privately-held investment bank and advisory firm focused on cryptocurrencies and other digital assets, recently partnered with newly formed research infrastructure platform Analyst Hub, to launch its institutionally oriented cryptocurrency research service. 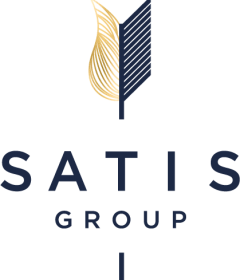 Founded in January 2018, the Satis Group is a privately-held investment banking, financial, legal and tax advisory business that provides advice, counsel and execution across a full range of digital asset capital markets transactions and financing initiatives, including Initial Coin Offerings (ICO’s). In particular, the Satis Group assists clients with navigating the legal and tax challenges associated with ICO transactions. Satis Group’s Head of Research, Sherwin Dowlat, will manage the day-to-day responsibilities of producing the firm’s cryptocurrency and blockchain analysis. Mr. Dowlat was formerly an equity research analyst covering semiconductor capital equipment and software with Susquehanna International Group, and cryptocurrencies with Wedbush Securities. “The explosion of cryptocurrencies and security token offerings of blockchain businesses represents an amazing opportunity for our company to create an institutional caliber research product. We’re excited to work with the leading ICO advisory firm as they expand their client services,” explained Mike Kronenberg, CEO of Analyst Hub. As we have written previously, there are currently a limited number of institutionally oriented fundamental research products focused on the burgeoning cryptocurrency and digital asset markets, including firms like Autonomous Next and Digital Asset Research. The new research service produced by investment bank and digital asset advisory firm, Satis Group adds an interesting new player in this space. Satis Group’s partnership with Analyst Hub to market and distribute this new service is interesting, but not terribly surprising for a firm that doesn’t have the staff or experience in the creating an institutional research business. Analyst Hub was built for the expressed purpose of helping former sell-side analysts by supporting and building their own research franchises in the new post-MiFid II unbundled research environment. Given the fact that over $4 billion in ICO funding was raised in 2017, and 2018 is expected to be another strong year as the number of crypto-focused institutional funds expands at a healthy clip, we expect that Satis will not be the last firm to enter the digital asset research business. However, we will be interested to see whether other investment banks decide to commercialize their crypto research by launching subscription based research products like Satis has with the help of Analyst Hub. Only time will tell.